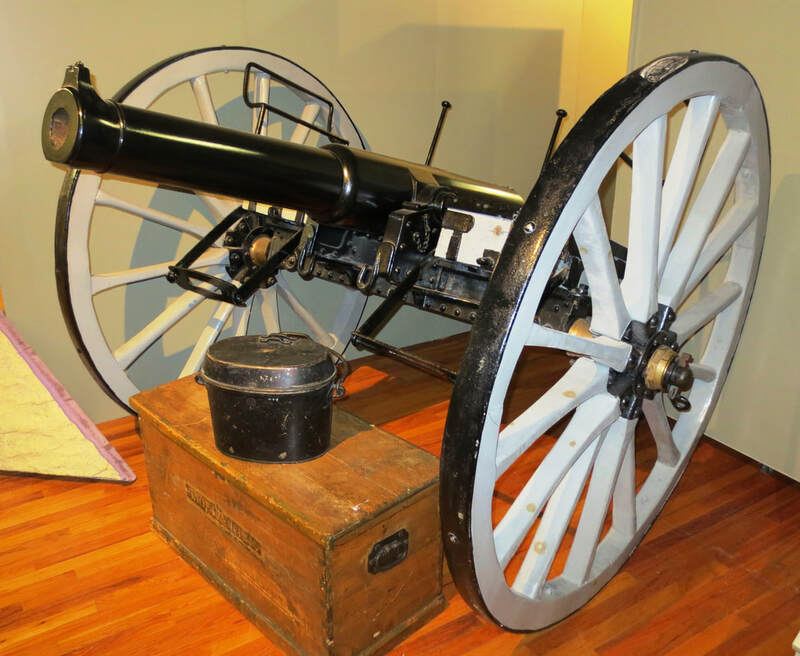 9 Pounder, Mark I, 8-cwt, Rifled Muzzle Loader for Land Service located in the Base Gagetown Museum. ​Leather seat straps are missing. Seat supports appear intact. ​Photos and information from http://silverhawkauthor.com by Harold A. Skaarup. 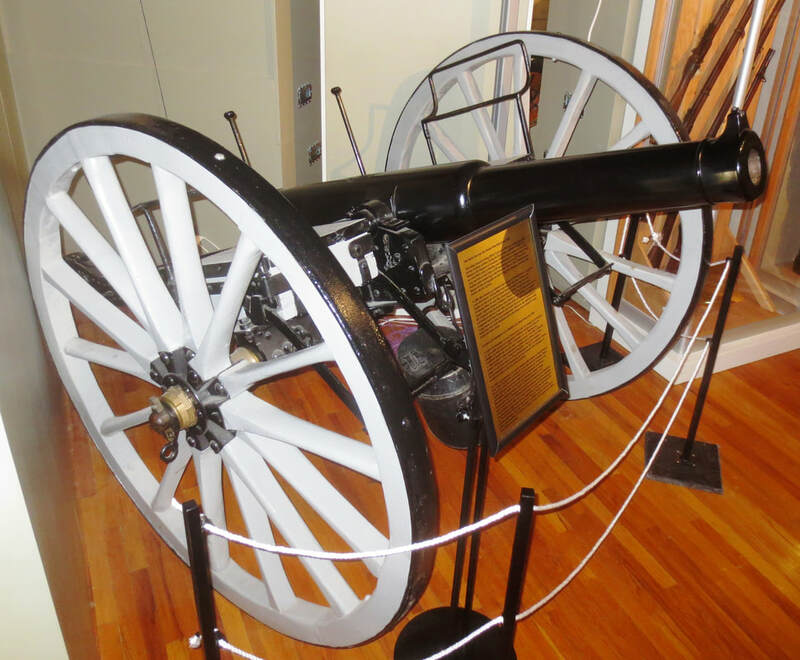 Front, side and rear view - This 9 pounder appears in very good shape. Cypher, stamps and other markings - The numbers close to the breech (8-1-4) represent the weight of the barrel (hundredweight-quarters-pounds) which would be equivalent to 928 lbs. The arrow indicates it has been proofed and accepted for service. 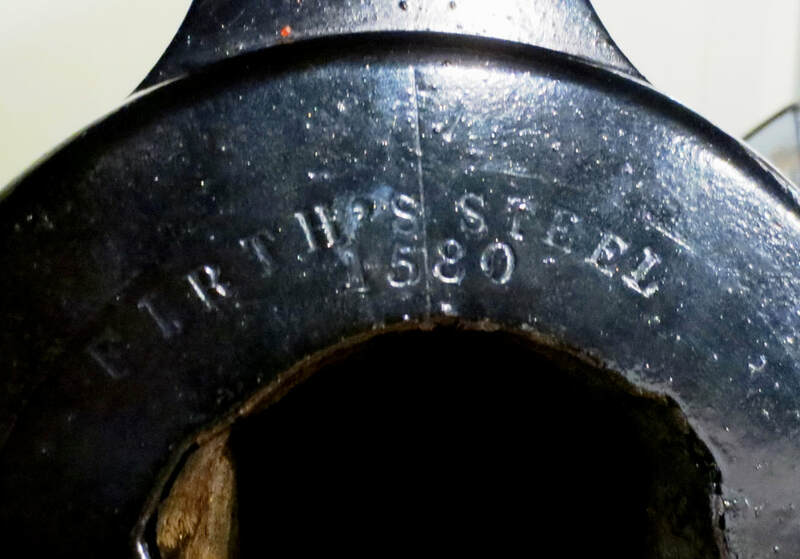 The trunnion is stamped R-G-F No. 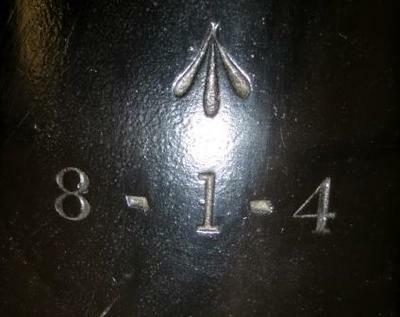 23 I 1870 which would indicate that it is serial number 23 manufactured in 1870 in the Mark I design. 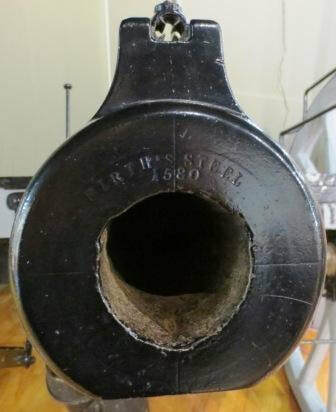 Firth Steel 1580 on the muzzle. R.C.D. 1877, No. 459, I, stamped on the iron carriage. Wheels - Appear to be of original design. Gun Stores - Wooden box may contain some stores.